Delhi-based Refiral Solutions Pvt Ltd, a company that has developed SaaS-based marketing tool, has raised $330,000 (over Rs 2 crore) from IT services firm, Cogent E Services according to a top executive of the company. “We plan to use the funds to evolve our current product and scale-up business operations in India as well as international markets, starting with the UK by the end of this month,” said Anmol Batra, co-founder, Refiral Solutions. “We would also work on developing new tools and expanding our service offerings, moving towards our long-term vision to help businesses increase sales,” he said. As per the deal, Cogent E Services’ managing director Abhinav Singh will join the board of the company. Both the companies - Refiral and Cogent - have also entered into a strategic partnership and are together building a customer support-as-a-service tool for the online businesses. Refiral was founded in March 2014 by Batra, an electronics and communication engineer and Rajat Goel, a computer science engineer. 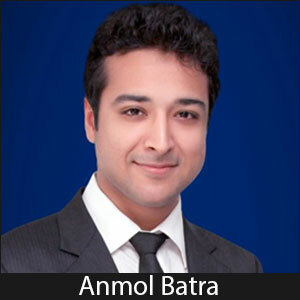 Both Batra and Goel have previously worked in Bain & Company as analysts. Refiral is a SaaS-based marketing tool for online businesses that enables them to run fully automated, personalised referral viral marketing campaigns. “Designed to serve all types of online businesses, Refiral mixes rewards with referral marketing and spreads it virally. Once the client has set up their campaign, we handle everything – from tracking who has referred who, integration with the company’s e-commerce platform, fraud detection and protection to a complete analytics dashboard,” explained Batra. The firm claims of running campaigns for over 250 online businesses across more than 10 countries and split across multiple industries, and have partnered with about 20 e-commerce platforms. Recently, SaaS firm Tookitaki—which combines multiple datasets to build a 360-degree consumer model that can impact marketing, sales and operations enterprises—had raised $1 million from Jungle Ventures and others. Noida-based Cogent offers software development services for e–business, recruitment, accounts payable/receivable, and web applications. It is also a global offshore development and IT outsourcing company that provides processes to enterprises.